DIRECTIONS: 8-1/2 miles North of Mineral, VA. Take Rte 618 East to Rte 700 North, follow to Information Center. GENERAL DESCRIPTION: Largest nuclear station in VA. Has a variety of graphic and interactive electronic displays on power generation and nuclear energy. Videos, slides and guides available. TYPES OF PATHS: Grass to picnic area, concrete with a shallow ramp. ENTRANCE: Located in front of building. Entry doors, 66 in. wide, open easily with pull handle located 33 in. above floor. PUBLIC REST ROOMS: Located in front hallway behind lobby. Doors are 33 in. wide, and open in. No turns to enter. Accessible stalls have 32 in. wide doors opening out and handrails. Wheelchair accessible toilet is 19 inches high with room for lateral transfer. Sink height is 33 in. Accessible stall checked regularly for obstructions. Rest rooms are identified by a raised figure with pants or skirt on door to designate men or women. 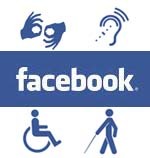 SPECIAL SERVICES: Special guide for guests with disabilities. For guests with hearing disabilities, there are amplified audio units, and Assistive Listening System. Signing interpreters available with advance notice. Written scripts available. For guests with visual disabilities, there are audio cassettes and portable tape recorders, hands-on exhibits such as 2 exhibits equipped with telephones and audio cassettes, and documents in large print on non-glossy surface. FOOD AND BEVERAGE FACILITIES: 2 tables for customers in wheelchairs located in exhibit hall and lobby. Table height 28 in. ADDITIONAL INFORMATION: Hours: Mon-Fri 9-4. Closed Sat and Sun. Free admission. Facilities most accessible to wheelchairs located in exhibit hall and lobby. Non-smoking areas. Lowered drinking fountains.